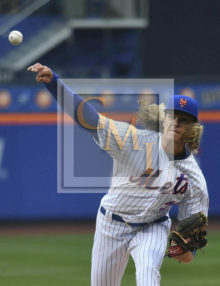 New York Mets starting pitcher, NOAH SYNDERGAARD, strikes out St. Louis Cardinals lead off hitter Dexter Fowler in the New York Mets home opener at CitiFIELD. 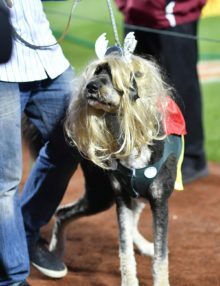 SYNDERGAARD struck out 10 batters allowing six hits and four runs in 6 innings, leading the Mets to a 9-4 victory. 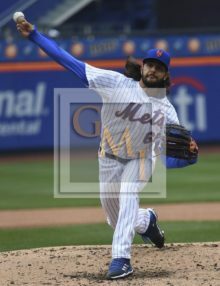 I have uploaded 7 selected images from today’s New York Mets home opener won by the Mets 9-4. The Mets looked very strong in both pitching and hitting. 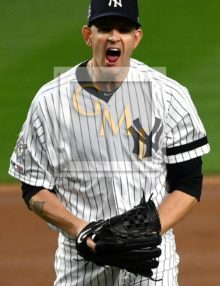 NOAH SYNDERGAAR pitched 6 strong innings, striking out 10 batters, while giving up 6 hits and four runs. 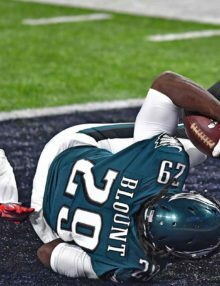 Mets relief pitcher ROBERT GSELLMAN faced three batters and struck them all out; and Mets closer, JEURYS FAMILIA, retired the Cardinals in the ninth inning without giving up a hit. 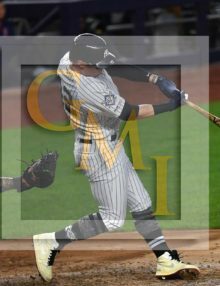 On the hitting side of the ledger, the Mets had 12 hits, with BARNDON NIMMO, YOENIS C’ESPEDES, ADRIA’N GONZA’LEZ, KEVIN PLAWECKI, AND AMED ROSARIO getting multiple hits each. It was a great start for the Mets. 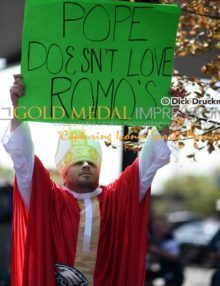 I am now headed for the New York Yankees home opener on April 2. New York Mets shortstop, AMED ROSARIO, singles in the second inning against the St. Louis Cardinals starter Carlos Martinez, , the first Mets hit of the 2018 season. 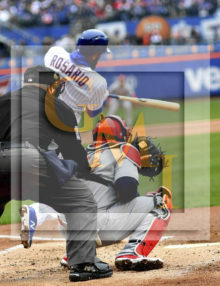 ROSARIO went 2 for 4 with 2 RBIs leading the Mets to a 9-4 victory in the Mets home opener. 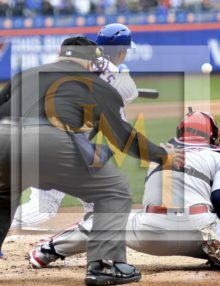 New York Mets outfielder, Yoenis C’espedes, hits a 2RBI single in the second inning off of St. Louis Cardinals starting pitcher,Carlos Martinez. 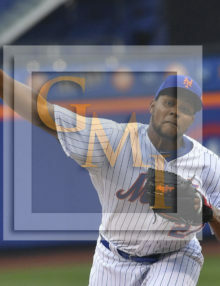 C’espedes went 2 for 5 , drivng in 3 runs leaading the Mets to a 9-4 victory. New York Mets first baseman, Adrian Gonzalez, hits an RBI double in the fifth inning against CARLOS MARTINEZ. 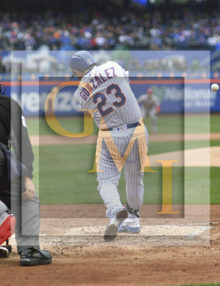 GONZALEZ went 2 for 3, leading the Mets to a 9-4 victory over the St. Louis Cardinals in the Mets home opener. New York Mets outfielder, Yoenis C’espedes, hits an RBI single in the fifth inning . 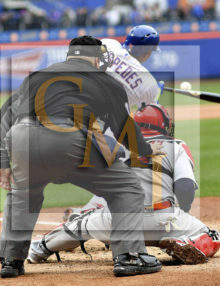 C’ESPEDES went 2 for 4 drivng in three runs and leading the Mets to a 9-4 victory. New York Mets relief pitcher, Robert Gsellman, strikes out Paul DeJong in the seventh inning. GSELLMAN faced three batters and stuck them all out. The Mets went on to defeat the St. Louis Cardinals 9-4 in the Mets home opener. New York Mets closer, Jeurys Familia, strikes out Marcell Ozuna in the ninth inning. FAMILIA retired the side, leading the Mets to a 9-4 home opener victory.